Amanda + Reed are quite the magical couple. They work hard and play hard. Their playing hard often relates to travel and food, because, why not? 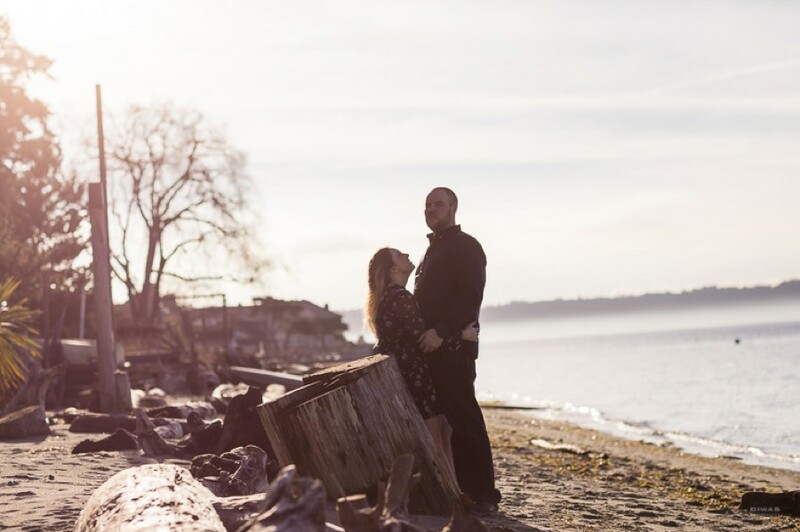 And Vashon, a super convenient getaway for them, is super close to their heart AND where they are getting married, so we figured we’d start our engagement session there. They had been over on Vashon sorting out day-of details as it was with their lovely pup, Jackson. . . so cute, such energy! Anytime our couples add a pet to their shoot, we get a little bit giddy. Some folks worry that their dogs are “too much” of one thing or the other, we roll with it. Typically with treats in hand. Jackson really fell in love with Diwas, and only slightly stole the show from Amanda + Reed. Enough about Jackson. 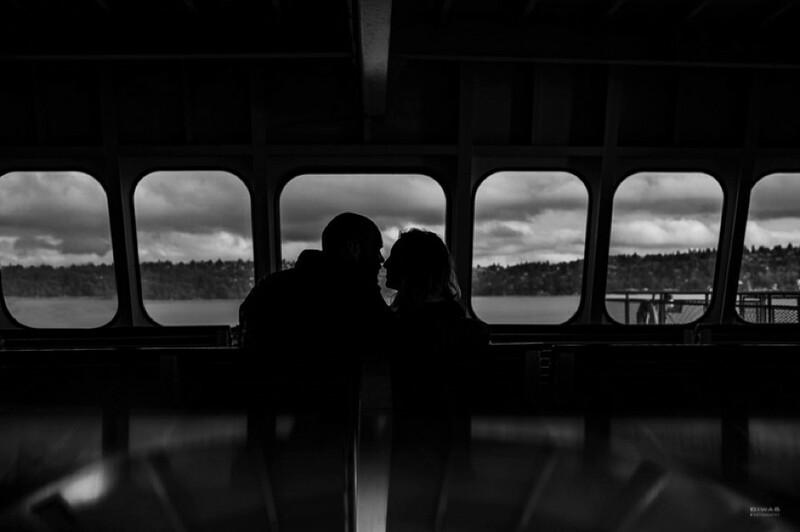 We hopped a ride back with them to their conveniently located West Seattle home just a hop, skip and jump from the ferry. 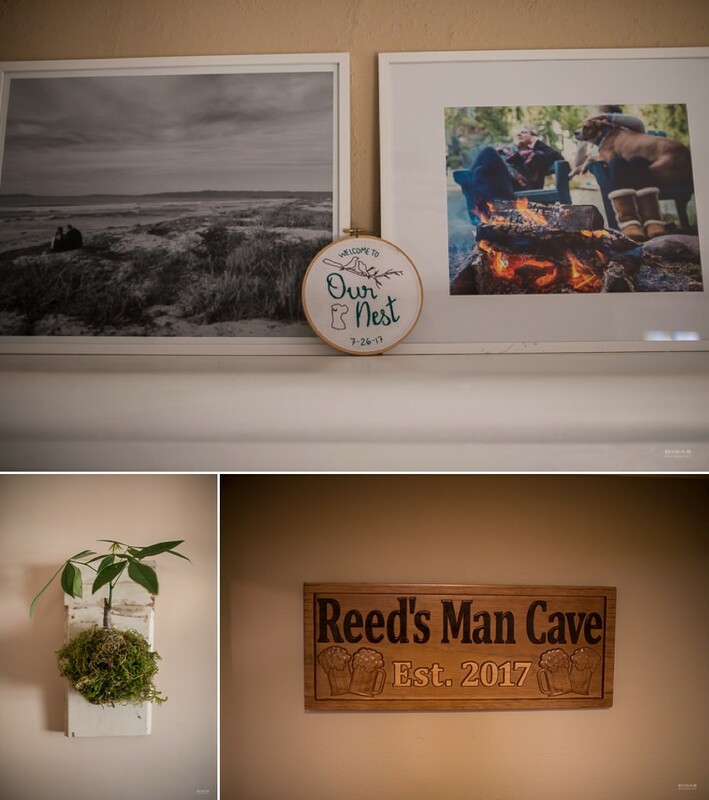 Amanda + Reed’s home has been pulled together with sweet touches from people so close to their hearts. They showed us around, snuggled and shared their story on how they met, how they knew their love was true, and their hopes for their wedding day. It was so good getting to know them more. We hung out there before moseying down to the secret beach. This is where we realized that Amanda had absolutely perfected the leg-pop during a beachy kiss. Do you see it?! 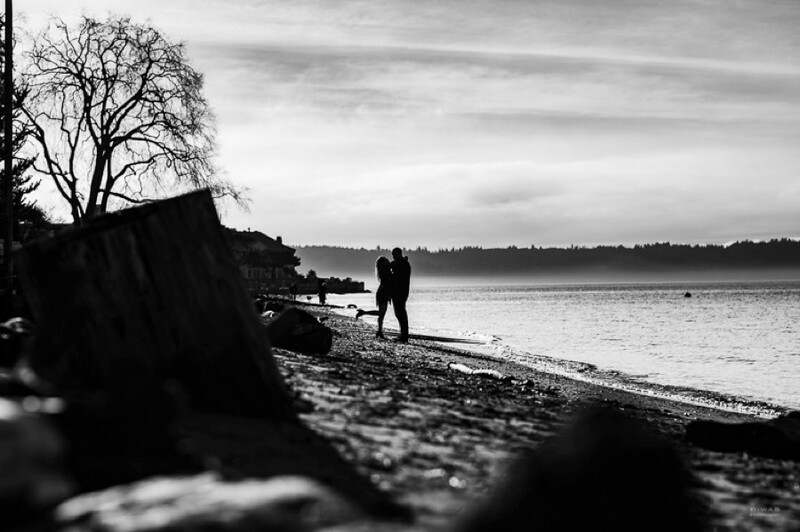 These two, how we love them… and how we are SO excited for their Vashon Island beach inspired, cocktail party wedding. It is promised to be as every bit of fabulous as they are.